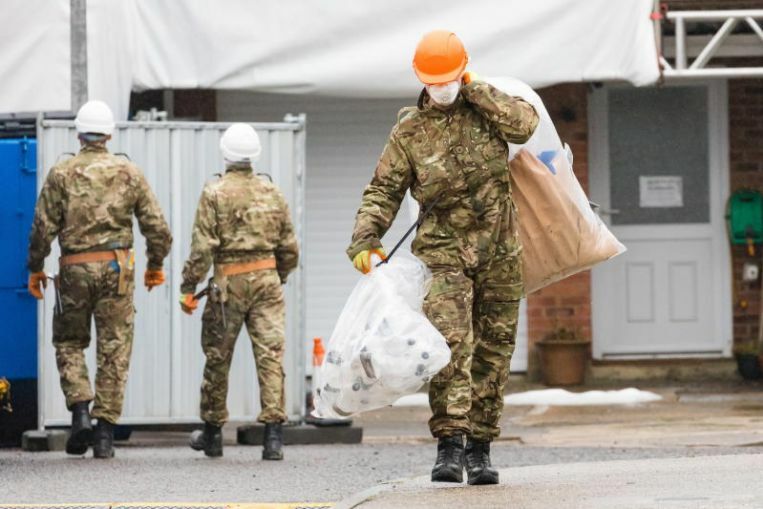 SOFIA (AFP) – Britain and Bulgaria are investigating a possible third suspect in the Salisbury chemical attack, which has also been linked to a 2015 poisoning in Bulgaria, the British ambassador to Sofia said Monday (Feb 11). “We will continue in close partnership together with a joint team looking into the factual underpinning of these allegations,” Hopkins said at a televised news conference. A report published last week by the investigative website Bellingcat identified a hitherto unknown possible third suspect in last year’s attack in the English city of Salisbury on former Russian spy Sergei Skripal and his daughter. According to Bellingcat, the possible new suspect is a Russian military intelligence officer known under the alias “Sergey Fedotov”. Following Bellingcat’s report and others in Bulgarian media, the prosecutor Tsatsarov on Monday said that “Fedotov” had travelled to Bulgaria three times in 2015; in February, again in April – arriving shortly before Gebrev’s poisoning – and finally in May. Tsatsarov said the probe into the Gebrev poisoning had been reopened in October 2018, and that the British authorities had “been provided with full access to all the documents and materials on this case”. “European partners take very seriously allegations in relation to activities on European jurisdiction of Russian intelligence officers,” Hopkins said. The Skripal case had given the UK experience of investigating such allegations, she added. The Salisbury attack, the first offensive use of chemical weapons in Europe since World War II, caused an international outcry and prompted a mass expulsion of Russian diplomats by Western nations – but not by Bulgaria. PREVIOUS POST Previous post: What was The Blitz during WW2, how did it start, which part of the UK was worst hit and how many bombs were dropped in total?